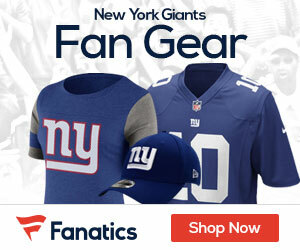 The New York Giants are one NFL team at the forefront with players using a new football helmet that also has a new piece of equipment that is drawing many positive reviews. Giants players Brandon Jacobs, Amani Toomer, David Diehl, Shawn O’Hara, Jay Alford, Grey Ruegamer, and Guy Whimper have all started using The Schutt ION 4D helmet. Why the switch? The helmet has on it is a faceguard that is actually on the helmet shell, not attached to it, as well as the faceguard has shock absorbing “Energy Wedges” that take away the force of impacts to the faceguard during those violent Sunday afternoons of warfare. As compared to older versions of faceguards, this new model is stronger than other faceguards. Plus it lasts longer than other, older versions of current faceguards that are still worn by numerous players today. Add to that the fact that the helmet uses a new type of cushioning material known as SKYDEX, the padding in the helmet is much better than the old traditional padding. The SKYDEX2 is yet another type of cushioning that the helmet can use that outperforms traditional foam in every aspect of helmet performance. The ION 4D is easy to wear and is fits right after it comes out of the box, which is another plus, meaning you do not have to break the helmet in. The shell of the helmet is designed to be smaller in appearance to make it more appealing. Along with numerous Giants players wearing the helmet, there are 11 top college programs that are active in wearing the helmet, including Virgina, Syracuse, and Penn State. How much will the ION 4D cost? When will the helmet be made available to the general public?